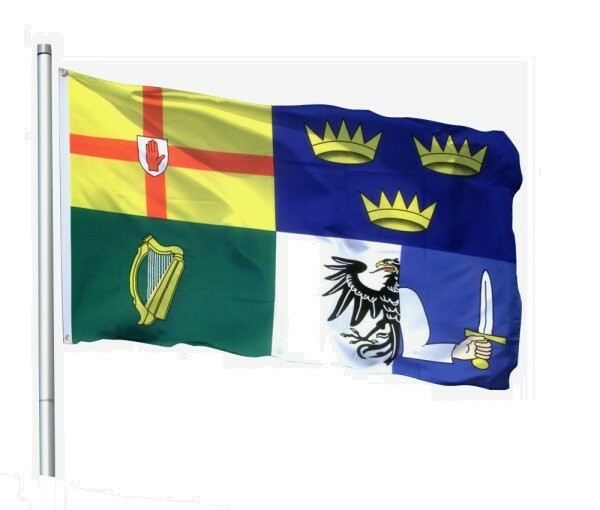 Combined flag of the four provinces of Ireland: Ulster, Leinster, Connacht and Munster. Combined flag of the four ancient provinces or kingdoms of Ireland (Ulster, Leinster, Connacht and Munster). This flag is used by the Irish Rugby Football Union and the World Curling Federation to represent the whole island.